What better time is there to embark on a project around the house than in the summer? The clear, warm weather can be a motivating factor on its own, but the longer days also means it's easier to accomplish more. Perhaps you've decided to start a home renovation project, or maybe your concerns lie outdoors. Is it time to remove old trees and foliage to make way for a new garden project? Whatever your plans may be, working out the logistics of how to accomplish what you want is important. For example, you'll likely face a need to dispose of at least a moderate amount of debris and refuse. How can you get rid of it all when your regular garbage pickup doesn't suffice? Ordering a dumpster can often be the right way to go. Dumpsters aren't just for big commercial projects. The average homeowner can enjoy several benefits and derive a lot of value from using a dumpster during a summer project. So, what should you do if you're interested in renting a dumpster to use at home? Here's a handy guide to consult. Before you can begin making any decisions, you'll need to think about what you will have to throw away during the project. This decision could impact the type of company you can consider, as well as considerations about the size of the dumpster you'll need. For example, if you intend to begin renovating an entire room in your house, you could generate waste that encompasses everything from drywall to old timber. Choosing a dumpster that has enough volume to hold everything, at least during one phase of the project, can help prevent unnecessary delays. Planning out your project is important in other ways, too. For example, some companies place restrictions on or will not accept items considered to be e-waste such as old computers and televisions. Dumpster rental businesses will also not typically accept other hazardous waste, such as certain types of paints, which you could end up with during an in-home project. Know what you can and can't throw away, so you can make alternate disposal plans, or to look for a dumpster partner that can handle your specific challenges. Once you've determined the basics of what you're looking for in a rental, you can start digging deeper. Figuring out how much you intend to throw away ahead of time can help determine both how much dumpster space you will need and what such a rental will cost. It’s also useful for figuring out if you'll encounter anything during your cleanup efforts that would count as an item prohibited by the rental company you choose. You don't have to kick your project off right away to figure this out, either. When you consider an interior deep clean, for example, it should be easy to see right away what you know will need to go; it could be an old mattress or broken furniture you no longer use, but chances are if you're considering a project like this then you're already fed up with having junk in the house. If you're cleaning up outdoors, estimating the weight of the waste you'll produce can be a helpful statistic, too, if you consider a provider that charges based on weight. For big projects, though, that might not be the most cost-effective choice. The EPA estimates that one cubic yard of tree branches can equal more than 125 pounds. In situations like these, a volume-based solution can be the best choice. By taking the time to estimate what the waste you'll deal with, you can determine which is the best way to proceed. When all you want to do is clean up your home and leave the space looking nicer and less cluttered, the last thing you want is a budget-busting rental. That's why when you plan on ordering a dumpster, it's a smart idea to do your research on pricing structures. Average prices vary based on region, and some companies will offer an extensive range of different dumpster sizes from which to choose. Typically, though, these businesses will charge a flat rate. When your estimates are fuzzy, and you aren't certain exactly how much space you'll use, this option can work, but you run the risk of overpaying for a size too large for your needs. 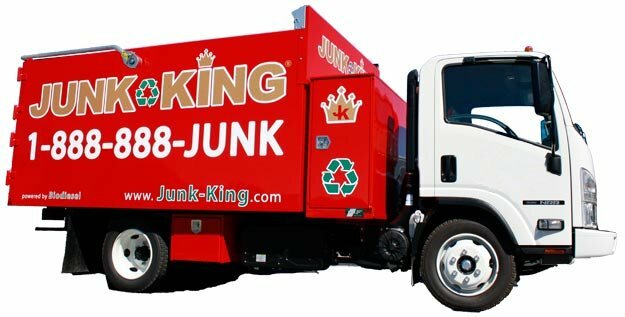 The most convenient option is to look for a flexible fee structure that charges you based on the amount of dumpster space taken up by your refuse. As mentioned, some companies charge instead based on weight. In either case, these options are more budget-friendly than rentals that rely on a flat fee structure. You can trust that you'll only pay for the amount you actually need, especially when you pay based on volume used. In practically every case, the partner you choose for a dumpster rental will try to provide some services that make the process easier. For example, after ordering, you should be able to count on not only delivery of the dumpster to your home, but a drop-off at the right location. Rather than just leaving it in your driveway, you may wish to have it placed elsewhere, either to avoid causing an obstruction or to simplify your task. If you can access the area in question with a delivery truck, you can use this perk to make your cleanup that much easier. Are you someone who tries to be conscious of your personal impact on the environment? You might wonder how you can reduce the impact of all the waste generated by the cleanup process. In this case, you might choose to look for a provider that undertakes sorting and recycling of recovered materials. Rather than sending the entire dumpster to a landfill, such a service sorts through what you throw away to separate anything that is still useful. Not only can you improve your own space, but you can do your part to help the environment, too. How large are your dumpsters? How much rental time is included? You should be able to expect several days to work on your project before any additional service charges occur. Can I exchange a full dumpster for an empty one? If your project is bigger than anticipated, this can be a big help. What happens to the waste after removal? For when you want to understand your own impact. Can you provide me with a quote? Let them know what you have planned for a robust answer. Overall, approaching the toughest parts of your summer project can become much easier after ordering a dumpster. With flexible pricing plans out there to choose from and the ability to secure both delivery and pickup of the dumpster you rent, making these arrangements can be easy and stress-free. When you've settled on your project, finding a dumpster to rent shouldn't be a challenge when you already know precisely what you'll need.